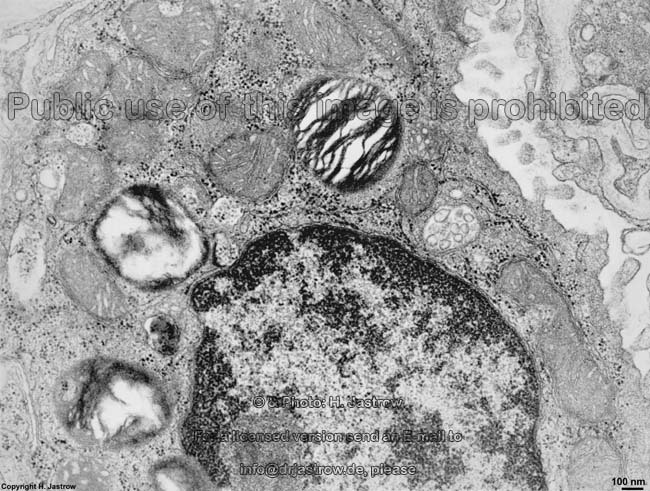 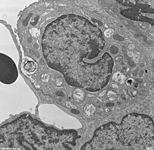 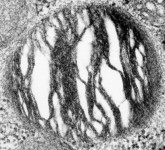 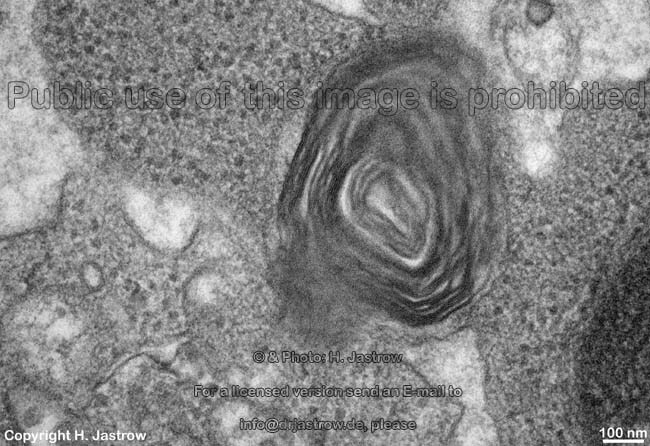 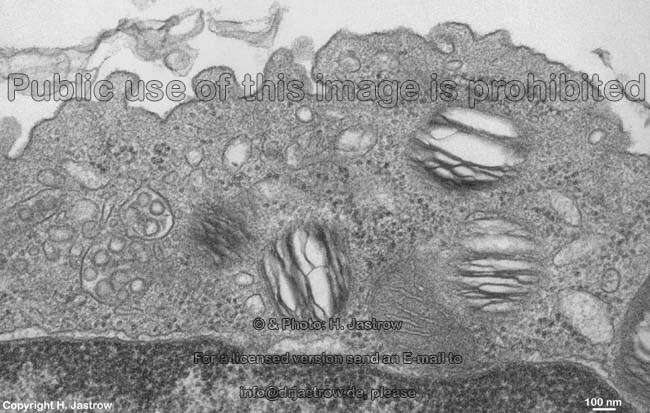 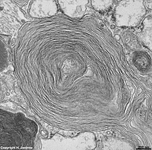 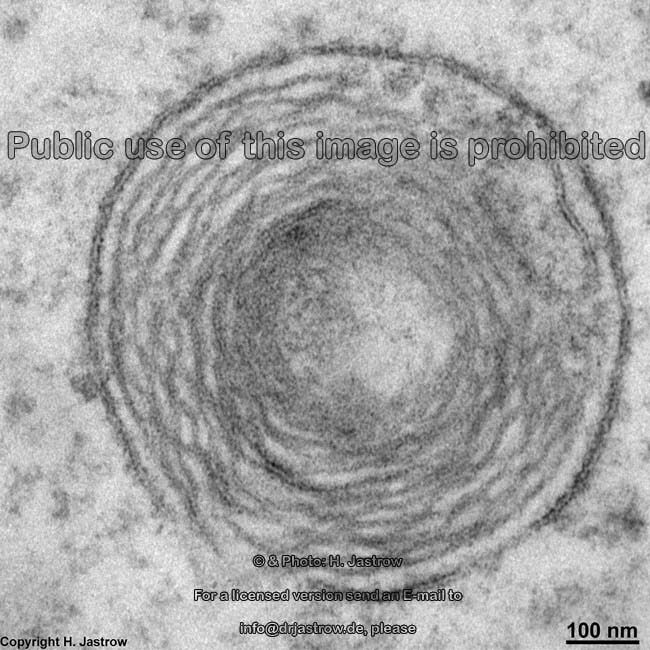 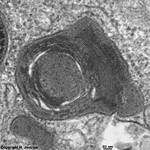 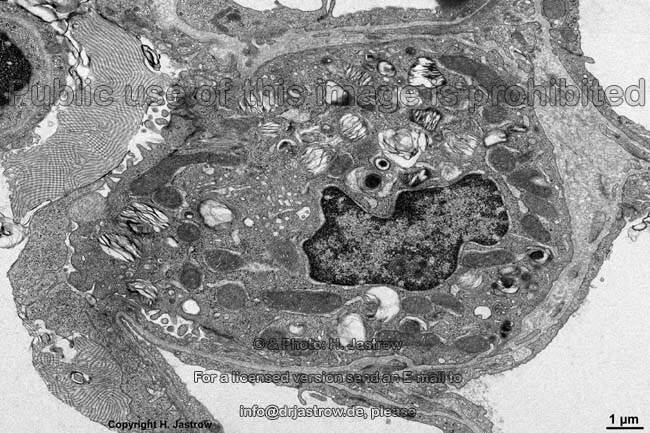 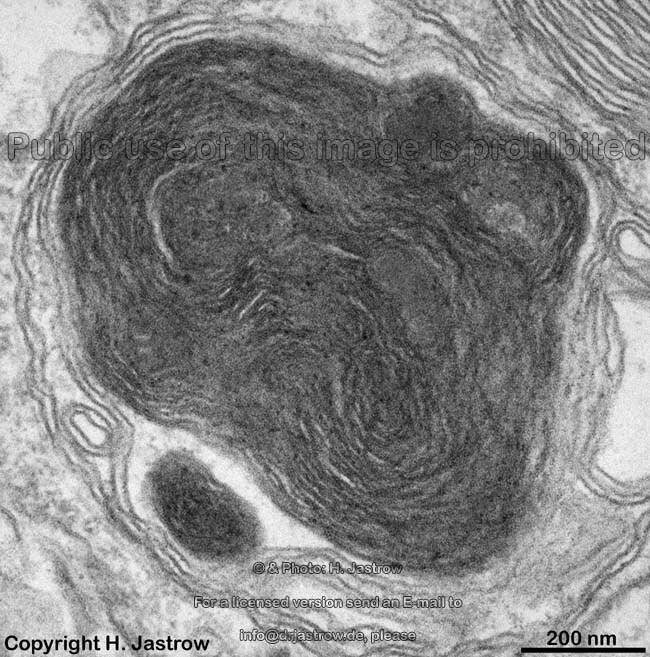 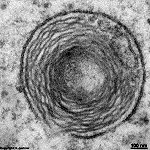 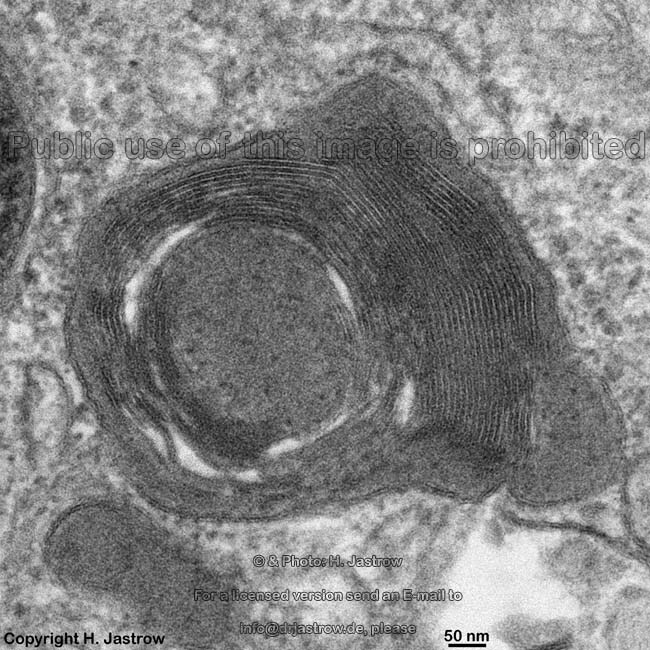 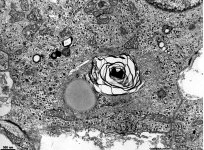 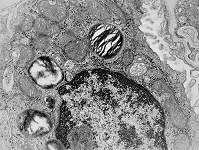 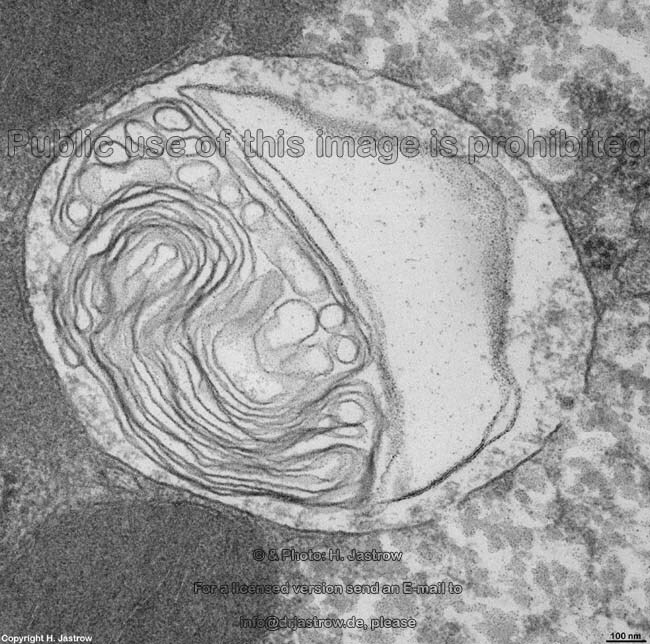 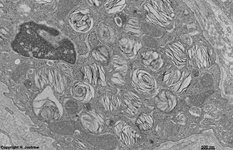 Lamellar bodies (LB, Terminologia histologica: Corpuscula lamellariae) are round to oval cell organelles containing lots of thin electron dense lamellae. When cut, LB have mean diameters of 0.2 to 1.5 µm. 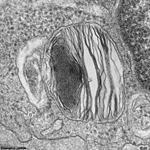 The matrix surrounding the strongly osmophilic lamellae is electron lucent and seems artificially stretched in many cases. 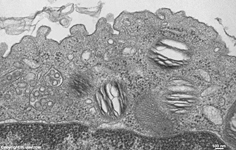 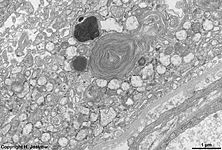 LB are limited by a double-membrane and are rich in lipoproteins due to the lamells contained. 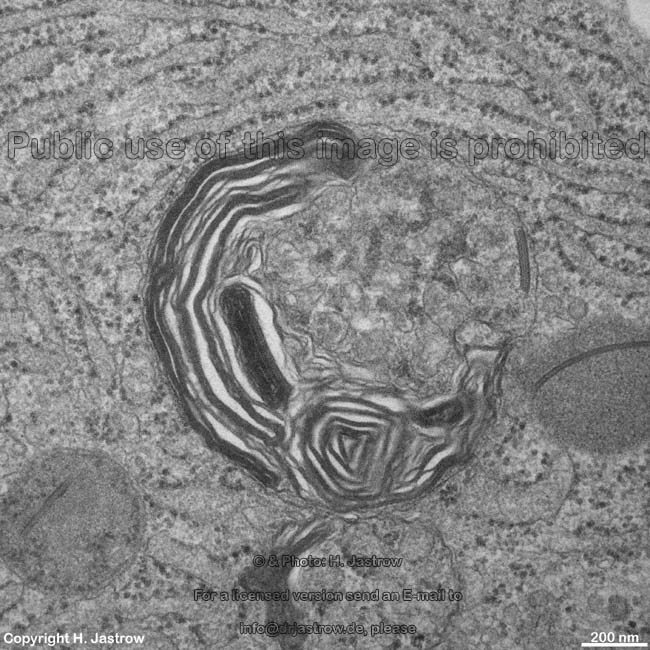 These lamelles are thinner than the outer double-membrane only a few nm in diameter. LB are rare cell organelles. 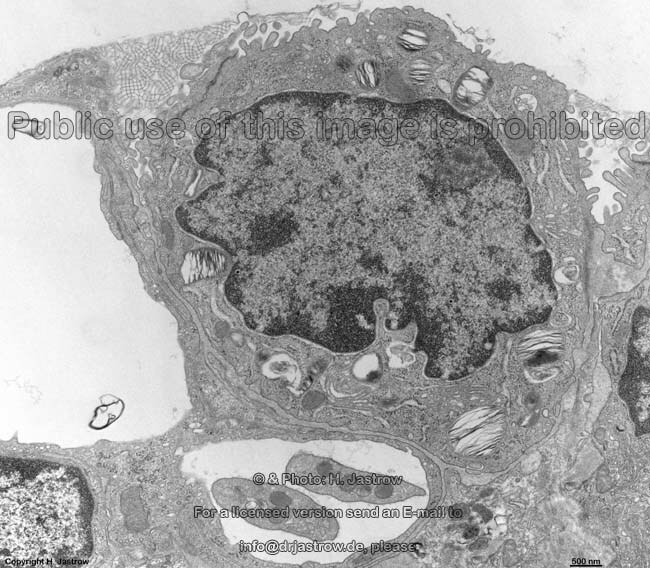 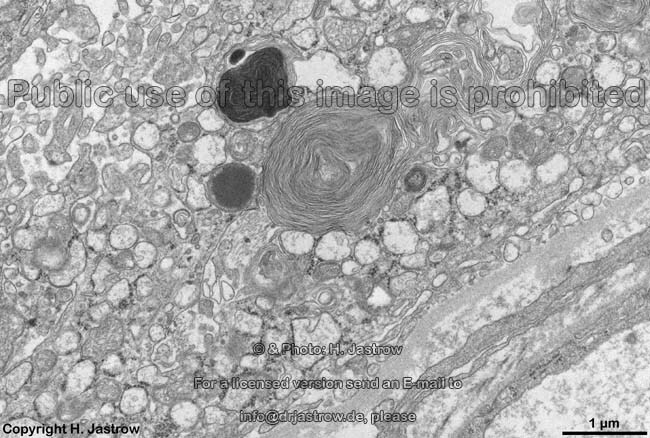 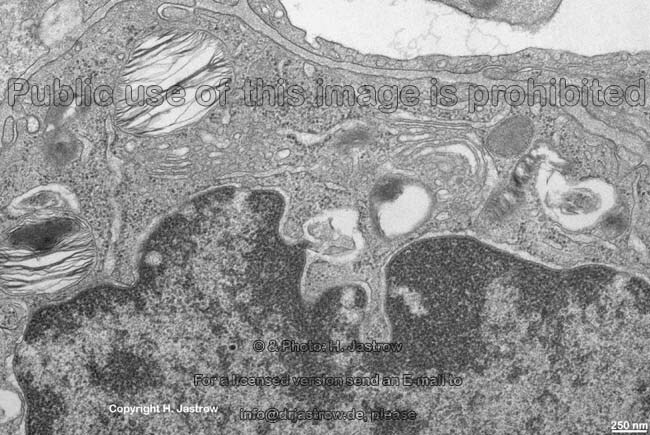 Only alveolar epithelial cells (= pnemocytes) of type 2 bear lots of them. 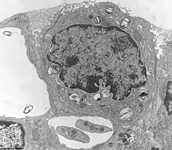 It was shown that most MLB derive from multivesicular bodies in this cell type. 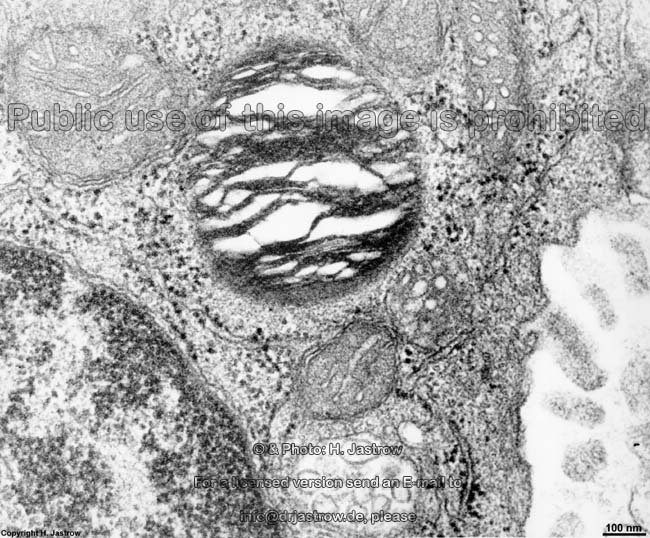 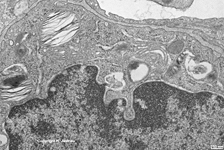 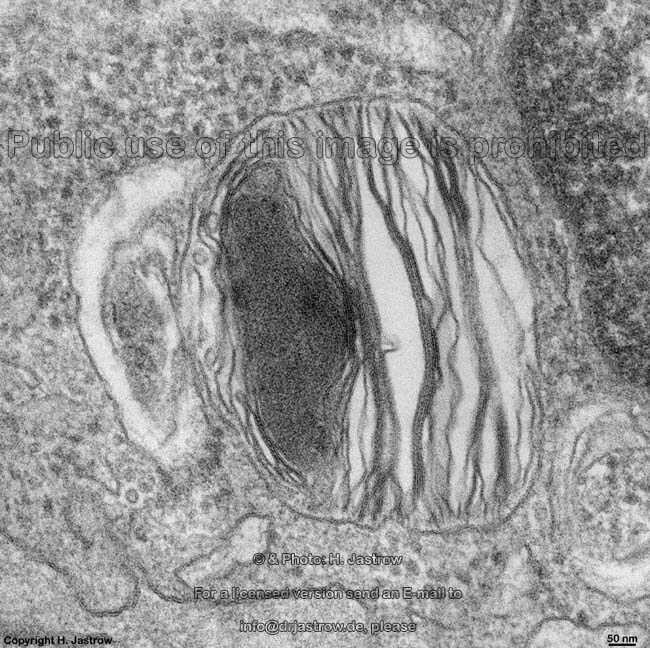 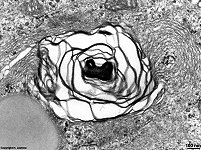 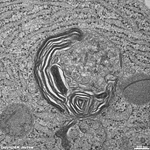 However LB can also result from alignment of membranes of the smooth endoplasmic reticulum or may derive from the Golgi-apparatus. The LB of type 2 - pneumocytes in the lung deliver their content into the alveolar lumen where its lipoproteins contribute in formation of the surfactant. 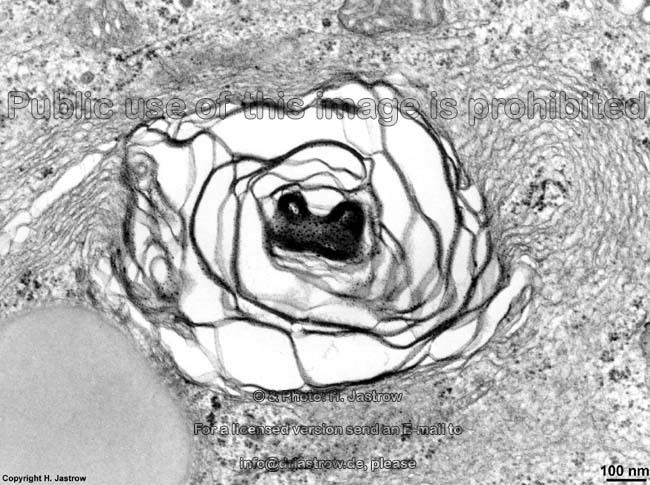 Page, images & copyright H. Jastrow.